Bridge Swing in Victoria Falls and freefall 80 meters into the Batoka Gorge and over the mighty Zambezi River. 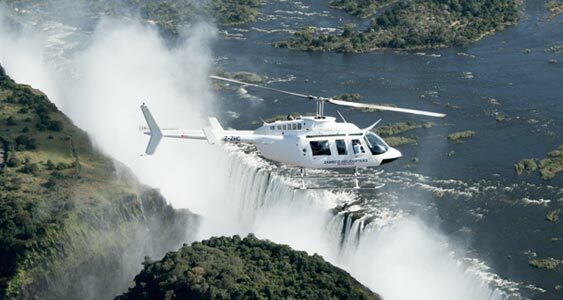 The Victoria Falls provide an epic backdrop. Step off the Victoria Falls Bridge and swing 80 meters into the Batoka Gorge. Then become a human pendulum as you swing in a huge arc over the mighty Zambezi River, with the cascading waterfall rumbling by your side. If you do not want to step into the void alone, take a partner with you for a tandem bridge swing and scream together as the rush of adrenalin surges through your body. The bridge swing provides a bonus chance to absorb the beautiful scenery of the Batoka Gorge while you slowly get winched back to the platform. You can choose to step off the bridge forwards, backwards and tandem. You have to be at least 12 years old to do the bridge swing. Although transfers are not included to the Victoria Falls bridge swing bridge, there is a complimentary shuttle from the Shearwater Cafe in Victoria Falls town at 10am and 2 pm daily. No visas or stamps are necessary for entry onto the bungee bridge, but please remember to bring your passport.